If you want the most accurate results and you are very serious about your weight loss. This scale should be strongly considered. Balance beam scales are known to provide you with very consitent repeatable results. Instead of measuring weight they measure mass, the funcationality of these scales are differnt than electronic scales in purpose, style and theory. 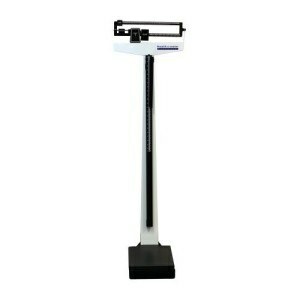 The fixed beam on this scale allows for weighing of pounds and kilograms. This type of scale is ideal for a clinical or gym setting, but if you have the available space would also work for personal use in a home.